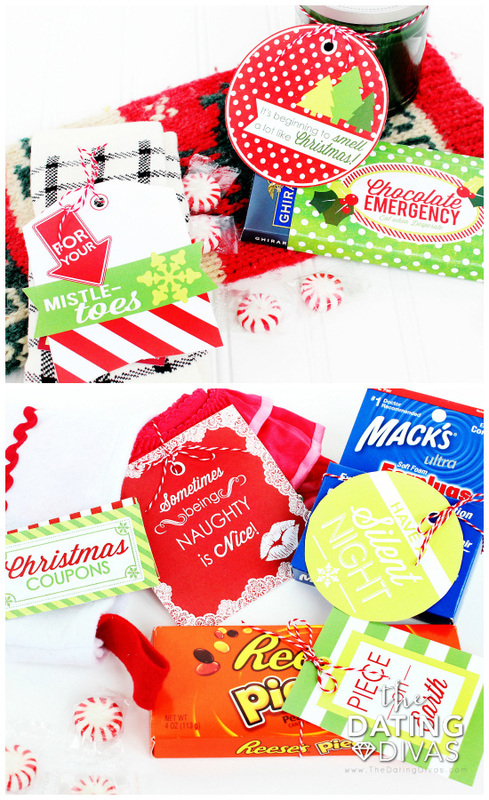 Hundreds of Stocking Stuffer Ideas! We know that life gets crazy and busy around Christmastime. You’ve got your hands full shopping, decorating, wrapping and partying! In order to save you precious time and energy planning for Christmas morning, we’ve created a fabulous pack containing TONS of creative stocking stuffer ideas. All of these quick, easy ideas for stocking stuffers are sure to bring smiles for the WHOLE family! Santa’s arrival and delivery have never been this effortless! Need ideas for what to stuff in your stocking? We’ve put our thinking caps on and gathered up all kinds of stocking stuffer ideas, not just for kids, but ideas for the teen, mom, and dad! There are 100 on each page! 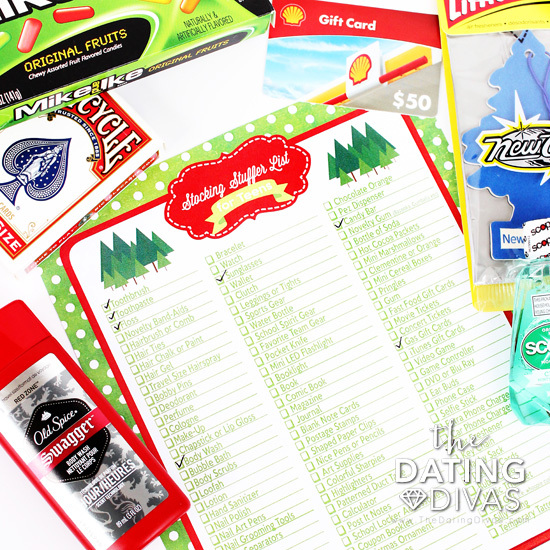 TIP: Leave the “wife” list for your Santa Baby to find, especially if he needs a hint at stocking stuffer ideas for YOU! Add a creative holiday twist to regular candy, treats, and gifts to create unique and darling stocking stuffers. Some are funny, some are punny, and some are sweet! We have a section of tags specifically designed for kids, teen girls, teen boys, husband, and wife. These are pretty much my favorite! 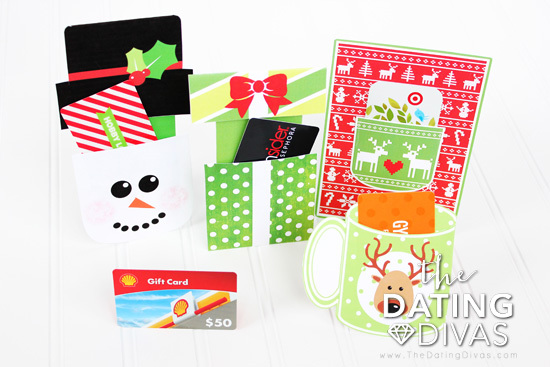 Create the perfect packaging for gift cards. You have your choice of a darling snowman, present box, Christmas sweater, or a cocoa mug! 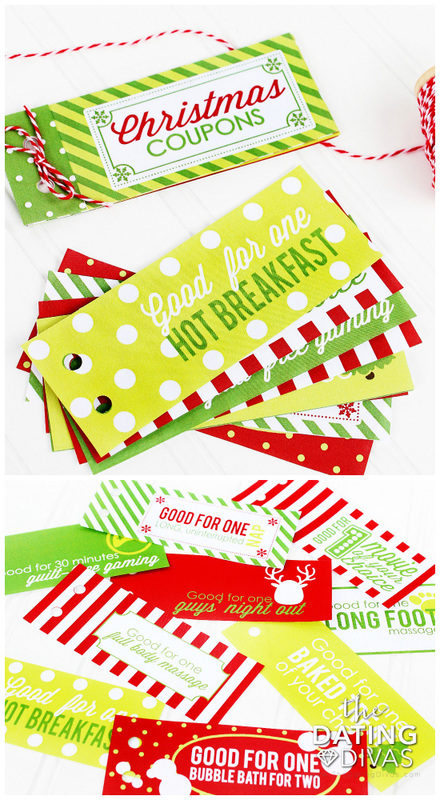 Coupons are a fun addition to any stocking! They can be redeemed for special treatment and fun activities. You can choose from four adorable and creative booklets, one for a husband, a wife, teens or younger kids! 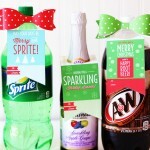 These magical stocking stuffer ideas are so much fun! Your little ones will love opening up a personalized, handwritten letter from Santa and will get a giggle out of some silly jokes from the elves on Santa’s Spirit Squad. Get this Stocking Stuffer Pack for only $5.97! 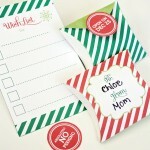 While you’re Christmas shopping, take a peek at our other holiday printables! Start a new tradition with the Spouse and Family Christmas Countdowns. 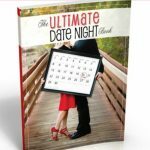 These cute advent calendars are full of family fun for the kids and romantic ideas for your spouse! 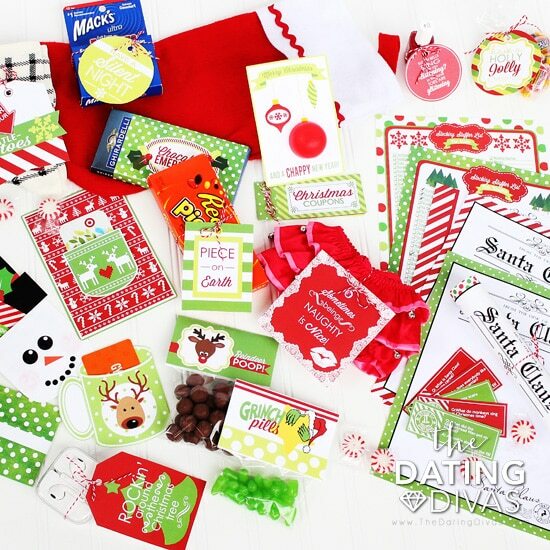 You can grab another great gift-and-date-idea-in-one with the Reindeer Games & 12 Daytz of Christmas Bundle! Oh this pack just makes me SO happy! I am in LOVE with it!!! This is THE CUTEST!! Love it! I am having trouble adding products to to my cart. What am I doing wrong? Thanks! Hi Gayle! So sorry you are having problems! If the Add to Cart Button isn’t working for you, try emailing ferren@thedatingdivas.com and she can help you out!! Sherry! That checklist is AMAZING, isn’t it?! Sadly we can’t separate the files for ya, it’s only sold as the full pack. But I’m sure you’ll love the other printables that are included too! I am absolutely in love! i just found this website through Pinterest and can’t get enough of it. But I was wondering whether the products are all digital or if you are mailed the printouts that are ordered? Hi Jackie! So glad you love it, we’re glad you’re here! All of our products are digital files, so you’ll receive an email with the downloads after purchase.